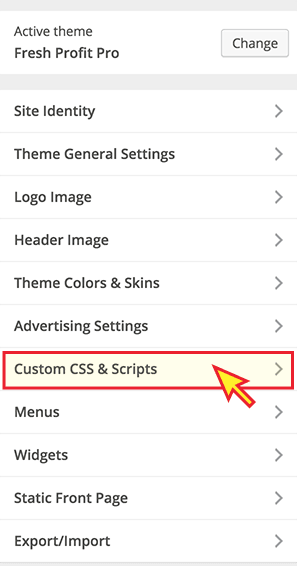 This guide will explain how to use the advanced options for displaying advertising zones from the included Advertising System and how to add your own custom css and scripts. 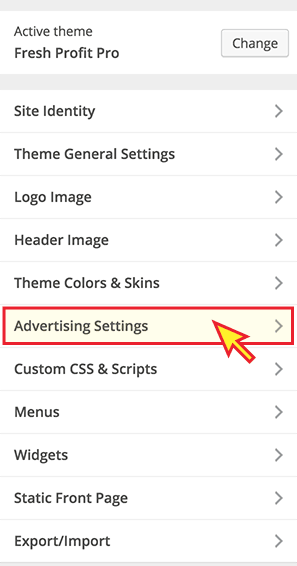 Fresh Profit Pro includes default advertising banner zones, which are tied to the included WP Pro Advertising System plugin. The content for these zones is setup in the plugin, and you can checkout the documentation here. 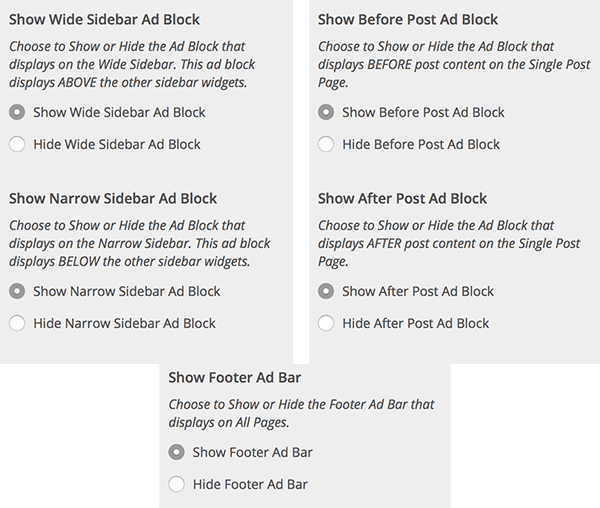 From here you can Show or Hide the Ad Blocks on the Wide Sidebar, Narrow Sidebar, Footer, and Before and After Posts. Just make your selection and save. You have now completed the guide for Advanced Settings & Customization. Please see the main Fresh Profit Pro WP Theme Documentation guide for links to additional training articles.